One Year Post-Hovensa: Worse Before It Gets Better? One year ago, on Jan. 18, 2012, Hovensa announced that it was closing its St. Croix refinery, marking a sea change for the economy on St. Croix. Officials at the time estimated about 2,200 people worked at the refinery, either directly for the company or for contractors. The company announced it would transition the site to a petroleum storage facility employing about 100 people. In the coming days the Source will look at the impact of the closure. The first story focused on the refinery employees and their families who found themselves spread across the country and around the world. This story is about the numbers, the macroeconomic impact of the closure on St. Croix and the territory at one year. Year-end employment figures are in and they paint a fairly terrible picture for St. Croix, where the refinery is located, but – understandably – much less impact on St. Thomas. In August, the V.I. Labor Department reported to the Legislature the unemployment rate in the V.I. climbed from 8.2 percent in January, when the refinery closure was announced, to 12.2 percent in May. Looking at St. Croix alone, though, it increased five percent from a bit over 9 percent to 14.6 percent "and it is expected that it will be 17 to 18 percent before the end of the calendar year," Labor Commissioner Albert Bryan testified. Almost six months later, those projections have been shown to be distressingly accurate. "For St. Croix, we started seeing the impact of Hovensa almost immediately after the announcement in January," Bureau of Economic Research Director Wharton Berger said Wednesday. "In March, it was at 10 percent and by July stood at 16.1 percent. In December it was at 17 percent," he said. The year-long average unemployment rate for St. Croix comes to 14.1 percent for 2012, versus 9.8 percent for 2011, Berger said. But that 14.1 percent number means little to someone among the 17 percent of St. Croix workers looking for work right now. St. Croix’s numbers brought up the territory-wide unemployment rate to 13.3 percent in December, Berger said. "That’s a 0.3 percent increase (over initial projections) primarily due to a wave of former refinery workers filing for unemployment," he said. How does the future look? That is difficult to say with any certainty, Berger said. It depends on the national economy, the world economy, growth of tourism for St. Croix and the territory’s ability to attract new businesses and industries to the territory, he said. But improvements will be very slow, especially for St. Croix. "Projections for 2013 are looking a little on par with 2012, so we may not be seeing much overall improvement in employment, but hopefully we will see some improvement," Berger said. "We are still being impacted by Hovensa and are not expecting a real quick transition. The impact on St. Croix is enormous and we in the administration realize this, so we are looking for ways to help employees and also companies that are there now to thrive and grow and look at how they can improve the economy on St. Croix and also on St. Thomas," he said. Unemployment may peak towards the middle of the year and some growth may come later, he said. "I’m not saying it will be better or worse, but we will be getting toward the worst part and after that we will see some growth." Meanwhile, while the unemployment rate is "a very, very bad number," at the end of it "we will be able to look forward to some growth toward the end of the year." Recent tourism numbers, which are not final yet, look relatively good, with increases on St. Thomas after decreases earlier in the year. "Air arrivals are up, and they are the ones buying meals, staying in hotels and spending money here," he said. Cruise arrivals are still down, with around 20 percent fewer ships arriving than last year – but those ships are almost full, and if the national economy continues to grow at two or three percent a year, that may translate into better numbers for the territory too, he said. Tax revenues, which are hurting due to the overall economic situation, are depressed considerably by the Hovensa closure. In a report issued in June, to accompany the administration’s budget projections and recommendations, Berger estimated the closure would cause overall tax revenues to decline by roughly $140 million. The Bureau of Economic Research projected the V.I. economy as a whole would see a $580 million shortfall in economic output attributed to the refinery’s closure. Those projections describe the broader, macroeconomic impact of the closure and its likely effect on revenues. The direct, microeconomic impact on the budget that can be clearly attributed to Hovensa is less. The quantifiable tax impact directly attributable to Hovensa may be closer to $60 million, Management and Budget Director Debra Gottlieb said Friday. The latest figures and projections are still being compiled, she said. But $60 million is the share of the budget shortfall the government attributed to Hovensa last year when it borrowed $120 million for general working capital as part of a larger bond issuance. The exact figure for tax revenues attributable to the refinery is difficult to measure, Gottlieb said. There are the direct corporate income and other taxes that Hovensa and its subcontractors paid – those revenues are easy to quantify, she said. And there are the taxes paid directly by Hovensa employees, which could be measure. But there are indirect impacts on revenue that are harder to quantify, she said. "There is the impact of the employees’ economic activity," she said. The employees would spend money in the community, paying rent, purchasing groceries, eating out and so forth, and these would be reflected in tax revenues, according to Gottlieb. While generous severance packages softened the blow somewhat, "the simulations clearly show the termination of 1,200 highly paid petroleum refinery manufacturing employees and 950 subcontractors has an enormous economic and fiscal impact on the Virgin Islands as unemployment is increasing while tax revenues are declining," Berger said in the report. While many of the impacts affect St. Croix more than St. Thomas, the loss of discounted fuel from Hovensa hits everyone, regardless of location. Hovensa had provided reduced-price fuel to the V.I. Water and Power Authority, slightly softening the impact of high fuel costs on local utility rates. With the cessation of that discounted fuel, utility bills will be even higher than the already very high rates. "We estimate that it is costing WAPA and the ratepayers approximately $51 million per year. This is approximately $4.25 million per month and $21.25 per barrel," WAPA spokeswoman Cassandra Dunn told the Source in a recent email. Going by the 2000 U.S. Census figure of 41,000 households in the territory, that comes to an extra $1,243 per year for every household in the territory, or $472 for each of the 108,000 men, women and children in the territory, directly attributable to the closure of the refinery. Those figures are overall amounts, not the amount each household WAPA bill should increase. Some of that will be absorbed by businesses’ utility bills which will then be passed on to the businesses’ customers. As bad as things are on St. Croix, they could have been worse at this point, Labor Commissioner Bryan told the Source. "We are in a little better shape than I thought we would be at this point," Bryan said in a recent interview. "We haven’t seen the meltdown in the peripheral economy we thought we would. But it has only been a year," he said. Part of the reason for that is "severance pay was a lot more than we thought it would be," he said. Former Hovensa and subcontractor employees got severance under " the plant closing law, a company severance package and a bonus," he said. "A lot of those who stayed on island were paid until the end of the year – so a lot of those people just (recently) stopped being paid by the refinery," Bryan said. On top of that, another 200 to 300 people are still working at the refinery, doing cleanup and shut-down work, on 90-day contracts, "so those people have not hit the unemployment rolls yet either," he said this week. Severance under the plant closing law alone average about $22,000 per employee and about $22 million in total, Bryan said during legislative hearings last year. More people have left the territory than expected, which has softened the unemployment spike, but still removes money from the territory, Bryan said. "I think we estimated maybe 30 percent of the people would migrate off island and we think it was a little more than that," he said earlier this month. 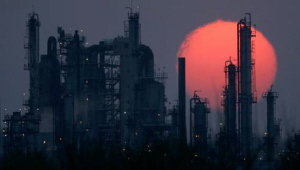 "People not associated with the refinery have left too. Husbands and wives of employees left, and others unsure about the times here on St. Croix left as well. It creates a kind of job shift. If you left because your wife was an engineer at Hovensa but you are working as a teacher or accountant or in some other position, you actually create an empty slot. We saw some of that," he said. Roughly 1,300 of the 2,500 people initially laid off have received unemployment, he said. The number would be much higher, but those who left the territory have marketable skills and have generally been able to find employment at other refineries or in related fields, according to Bryan. Federal unemployment insurance was extended this year, "which was a great help for us – last year we didn’t get that," he said. As all the benefits and severance pay runs out, more effects are likely to be felt, Bryan said. "I expect by June, before school starts, we will see another exodus of people," he said. "Remember unemployment is about 70 weeks. And when that starts to run out, we will see more action," he said. The exodus of highly paid workers has other impacts besides taking money out of the economy he said. It is putting pressure on home rental rates and home prices. And the removal of that large number of well-insured employees may hit the bottom line of health care providers. "We will see this year how many uninsured patients have been entering the hospital, because a lot of insurance expired in December," he said. To move beyond these troubles, Labor is trying to focus on job training. And the Economic Development Commission, of which Bryan is a member, is looking at more job training and education. "Those high wage jobs require high skills, which is why we are pushing training," he said. The territory received $7.8 million through a federal National Emergency Grant in 2012 to help with job training and job assistance for those laid off by Hovensa and its subcontractors, he said. As bad as things are right now, this is not the highest unemployment St. Croix has ever seen, Bryan said. "It is still not as bad as some of the unemployment rates we saw in the 1990s," he said. "That was a bit of an aberration though," he said. The rates spiked in the 1990s when work constructing the catalytic cracker at Hovensa came to an end, he said. "So it’s still not the worst it has ever been in terms of the numbers and payouts," Bryan said. Violent, extremely uneducated and unmotivated work force, coupled with a government that is very hostile to private business. Not to mention some of the highest energy rates on the planet. It’s no surprise that St. Croix is dying. Hoorray!!! The air is cleaner, the fish are coming back to visit the island shores, the turtles are planning to lay eggs again, the doves are not dying from the hot air blast generated by Hovensa’s overhead fin fans, the prostitutes have left in droves (no more Hess man who likes to sit in bars with his green nomex exercising his lust for some other guy’s left-overs), no more stinky smell for the Enfield Green possy, etc. etc. Actually, toxic releases in the atmosphere have gotten significantly worse one year after HOVENSA’s closure. Actually, you need to read the report again. The latest report adds chemical constituents that were not included in the previous report. Also, the method of performing the actual calculations for toxic releases has changed. In other words, Hovensa was releasing much higher quantities of toxins than was previously reported.